Pressure conversion tool handles 8 different units of pressure. 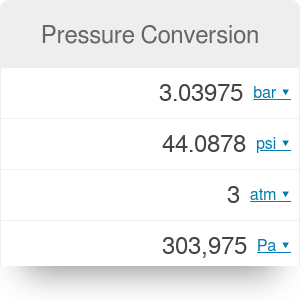 Depending on your needs you might use pressure conversion in different ways. Feel free to adjust the units accordingly and receive results in real time. Pressure Conversion can be embedded on your website to enrich the content you wrote and make it easier for your visitors to understand your message.